School yourself on the common misconceptions around going no-sugar — from denial about having a problem to knowing where it lurks. It's January so most of us are dusting off those New Year’s resolutions and recommitting to our (somewhat foggy) health goals. Right up there with actually using our gym membership and becoming a morning person? Quit sugar. But as the BETTER team found out, the goal is a lofty one. Even those who thought it would be a piece of (sugar-free) cake found it easier said than done to make it 10 days sans sweetness. 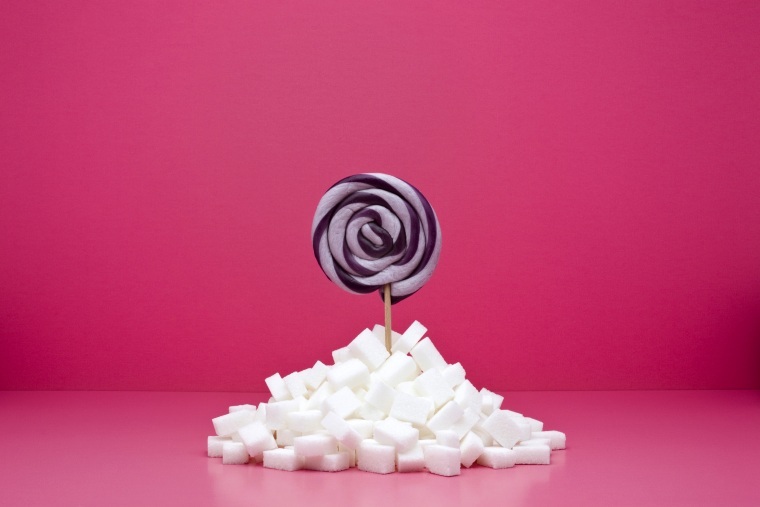 One of the reasons the experiment proved challenging was because of the common misconceptions we all have about sugar — from our denial about having a problem to knowing where it lurks. If you’re embarking on your own no-sugar challenge this month, here are five myths about quitting sugar to school yourself on first. Fact: Sure, you enjoy a piece of candy every now and then, but you don’t battle a crazy sweet tooth. So you assume that your sugar intake is completely acceptable. But you’re probably wrong. In fact, 75 percent of us are eating too much sugar. Think you fall in the other 25 percent? If you had a blueberry yogurt for breakfast, you’re already half way to maxing out your daily allotment — before you even left the house. Fact: We are conditioned to think of desserts and soft drinks as the major sources of sugar in our diet. But as our staffers quickly realized, it’s not simply the vending machine at the office that is to blame for racking up our daily tally. The sugar is hiding in some pretty surprising places. Fact: Cutting back on added sugar doesn’t mean you have to ignore your sweet tooth altogether. But when it comes calling, it’s best to have smarter recipes in your arsenal. Kleiner provides a few that will satisfy your sweet tooth, without a boatload of added sugar, including Choco-Oat Cookie Dough Energy Balls, EZ Freeze Chocolate-Zucchini Muffins, and Southern Spring Strawberry Jam.